There’s something for everyone at BOOTH 1601! 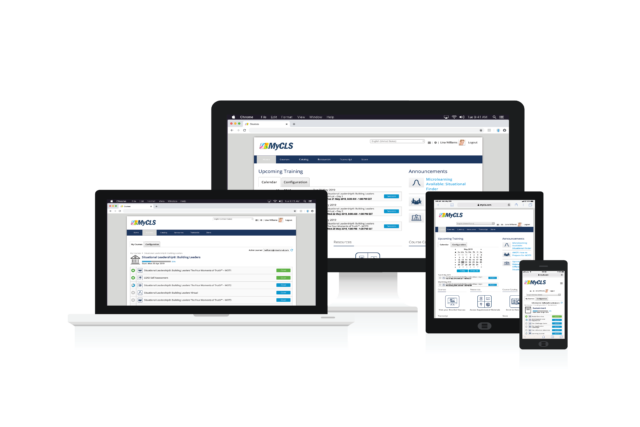 From the launch of our new MyCLS platform, the release of our new book on sustainment, “The Four Moments of Truth,” and our workshop sessions, you don’t want to miss a thing! Schedule Your 1-on-1 Meeting Today! Join us in Booth 1601 for a live demo! 10:30 a.m. 11:30 a.m. 9:30 a.m.
2:30 p.m. 2:30 p.m. 11:30 a.m. 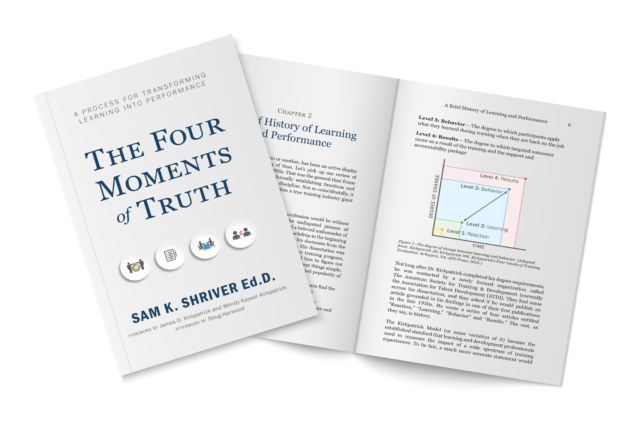 The Four Moments of Truth™ (4MOT™) is a practitioner’s guide to training transfer and sustainment grounded in time-tested fundamentals of evaluation strategy. 4MOT™ is a straightforward blueprint that connects learning to behavior change, and behavior change to tangible results. Pick up your copy of “The Four Moments of Truth,” a new book by Sam K. Shriver, Ed.D, in Booth 1601!